“Is This the New Liberal Arts?” or an April Fool’s Joke? That’s why Hennessy’s discussions with Kelley aren’t just about Stanford’s future, but about all of ours. Harry J. Elam Jr., vice provost for undergraduate education, elaborated on Hennessy’s thinking: “The d.school is not unlike a center for teaching and learning on steroids: Pedagogy and design thinking inform how to portray content and learning goals.” In other words, Stanford’s administration put two and two together: If the d.school already represented a kind of insurgent consultancy, why not focus that consulting work on Stanford itself? 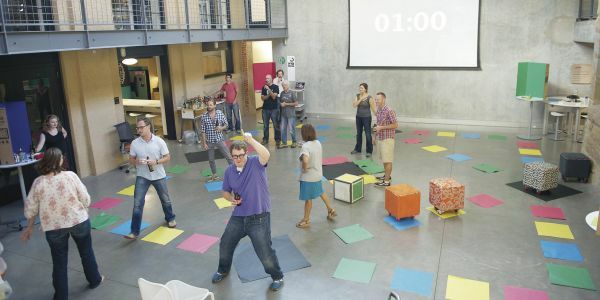 If collaborative project-based learning, real-world challenges, and multidisciplinary research architectures were already being taught in the d.school, why not leverage that experience for Stanford as a whole? Is this an example of Royal Nonesuch administrative jargon concealing an intellectual vacuum, or of bold rebellion against the hidebound strictures of the all-powerful liberal arts faculties, who, perhaps for spite (since they make no money), are blocking these awesome reforms? Yes. The simple answer is yes. Is this a techno-utopian engaging in deep philosophical thought about the malleability of the human mind and spirit through material culture? Or a techno-utopian whose operating code is not written to recognize the fundamental fact that an animated character created to embody one occupational role is not an actual human being? Yes. The simple answer is yes. And that, in turn, gets at the core of what is significant about the d.school’s work for the rest of academe, and for the humanities in particular: Human-centered design redescribes the classical aim of education as the care and tending of the soul; its focus on empathy follows directly from Rousseau’s stress on compassion as a social virtue. Is this a sincere expression of the novel idea that the production of things corresponds to the “tending of the soul?” Or a spot-on parody of the compulsion of technolibertarians to relate their self-interested projects to the presumptive universalism of Enlightenment values? Yes. The simple answer is yes. Aside: nothing speaks to compassion quite like a call for designing people to be producers of economically productive “social innovation” (anyone ask a historian of the Soviet Union or China how well the New Soviet Man or Cultural Revolution projects of designing people worked out? Anyone read Wendy Brown’s new Undoing the Demos, which speaks to the “design” of these entrepreneurial neoliberal political subjects? No? Carry on, then.). Top-notch trolling, right? Something to irritate everyone? Perhaps not. As I read on, it became clear that Miller was actually quite serious. And, in all fairness, I must acknowledge that as a historian, he speaks from a position of concern about the kinds of intellectual activity that can thrive in a university environment that is being rapidly reorganized around the values of entrepreneurialism and disdain for non-monetizable thought (See Christopher Newfield’s invaluable review essay on Michael Crow’s Designing the New American University). Implicit in Miller’s discussion is a “fight or switch” imperative. Neither one is a great option, but Miller thinks “switch” is preferable. I’m not sure the rest of his analysis supports this conclusion. Miller begins (after a descriptive tour of the premises) with a deep institutional history of the d.school, which chiefly harkens back to the days when Stanford engineers focused on consumer products met the proto-New Age spiritualists of the Esalen Institute. Basically an update of Romulus and Remus and the She-wolf for our coming TechBro empire. But Miller helps us to read through the lines a bit. While “design thinking” is a sufficiently nebulous concept to appeal to pretty much any constituency, it slants hard toward the individual. John L. Hennessy, president of the university, and David Kelley, head of the d.school, have been having a conversation about what the d.school and design thinking mean for Stanford. Hennessy sees them as the core of a new model of education for undergraduates. 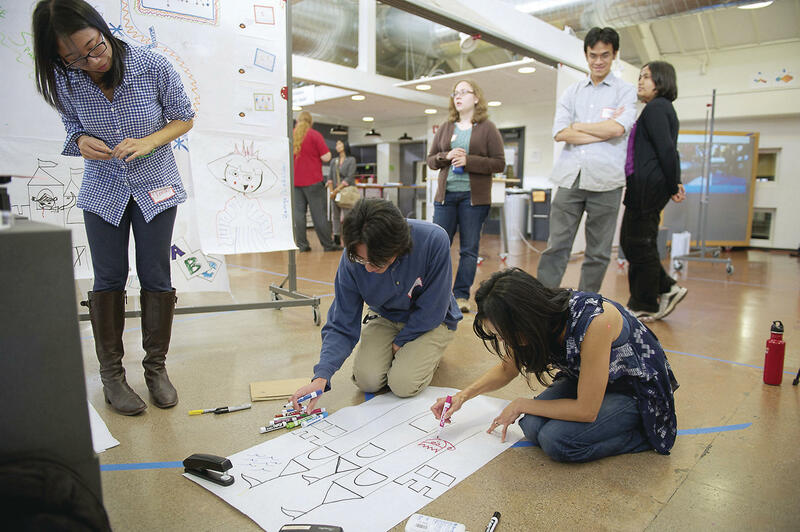 Two such classes on design thinking have already been created: “Designing Your Life,” which aims to help upperclassmen think about the decisions that will shape their lives after graduating, and “Designing Your Stanford,” which applies design thinking to helping first- and second-year students make the best choices about courses, majors, and extracurricular activities. Both are popular. fact-based expertise giving way to skills-based expertise. Aside: Getting credit for thinking about your personal path from Stanford to Google as a world-historical problem proves popular among Stanford undergrads. Knock me over with a feather. On the other hand, as university-based readers of the IDEO tool kits would immediately see, research in the design world is very closely linked to action-oriented solutions, i.e. to client needs. In fact, close attention to the way “research” is described in IDEO’s own publications shows that it is all conducted in the present tense, with no sense that the past matters to the present. Everything is ethnography. Libraries, archives, museums, the great repositories of the human past are rarely called upon for help. I gotta admit that trebuchets are pretty cool, and would make some of the social conflicts unfolding in San Francisco over the colonization of the city by techies considerably more interesting, but this is not what academic historians do. Rebecca Solnit’s piece “The Octopus and Its Grandchildren” from the August 2014 issue of Harper’s shows that “pastness” is not an intellectual virtue that is assimilable to the worldview of “design thinking,” whatever the hell it actually is. I’ll quote at length from Solnit’s critique of the technolibertarian fantasy of “seasteading”–establishing private microstates on ocean platforms. Google, Facebook, and Apple use offshore shell games to largely avoid paying taxes, while the billionaire former PayPal CEO Peter Thiel co-founded (with none other than Milton Friedman’s grandson) a nonprofit pursuing the pipe dream of building artificial islands to which individuals and businesses can relocate to be free of regulations and taxes. “If we can solve the engineering challenges of Seasteading,” Patri Friedman explained to n+1, “two-thirds of the Earth’s surface becomes open for these political start-ups.” Another billionaire, the venture capitalist Tim Draper, is funding a ballot initiative to divide California into six states, one of which would comprise the whole Bay Area under the name Silicon Valley. Secession from the United States, rather than retreat to Friedman’s proposed islands, has also been a popular idea. A Stanford lecturer/startup maven named Balaji Srinivasan gave a talk last year entitled “Silicon Valley’s Ultimate Exit,” in which he proposed showing what “a society run by Silicon Valley looks like without affecting anyone who still believes the Paper Belt is actually good.” “The Paper Belt” is his sneering expression for everything that came before about 1994 and isn’t run by the tech industry. The pervasive fantasy that Silicon Valley doesn’t need the government obscures the role of that government in funding much of the research that built it. The Internet itself, of course, was developed by the Department of Defense, and Silicon Valley is still key to the military and vice versa. The Office of Technology Licensing at Stanford estimates that the U.S. government funds 85 percent of research at the university, though the OTL insists the government is in turn a “significant beneficiary” of this research. Historians are Paper Belt, and that is how it should be. Solnit points to historian Richard White’s Railroaded, which tells the story of Leland Standford’s railroad fortune, one acquired less by the functionality of his enterprises than by the extent of his political influence. This kind of history is Paper Belt. 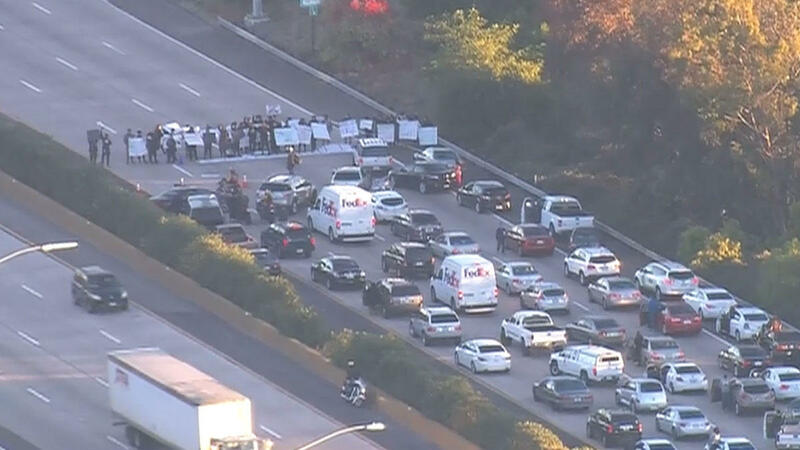 Paper Belt threatens the myths of innovative genius that fuel the ridiculous accumulation of wealth and power over cities like San Francisco and universities like Stanford that the tech industry has arrogated to itself. It’s pretty much impossible to see how history can “switch” to a form that integrates with the structure of the d.school while maintaining any critical function. If historians “switch” they will almost certainly cease to exist in any meaningful sense as component parts of “design thinking,” and I think they and other humanists should fight instead. Participating in an enterprise based on such an instrumental understanding of knowledge might result in historians being the last humanists eaten, but it’s not going to save us. The ideas come from untraditional places. One night during Ms. Burns’s fellowship, Mr. Crow took in a midnight showing of Elysium, a science-fiction film that imagines a future in which the planet’s wealthiest inhabitants live on a utopian space station while the rest of humanity toils back on Earth. The president was so enthralled by what he saw that he insisted Ms. Burns check it out for herself. Any first year PhD student in film studies or urban history could tell you that Elysium is a futuristic retread of Fritz Lang’s Metropolis, and that watching Metropolis to be inspired by its depiction of future technology, which facilitates gruesome exploitation and emmiseration, pretty much misses the entire point. 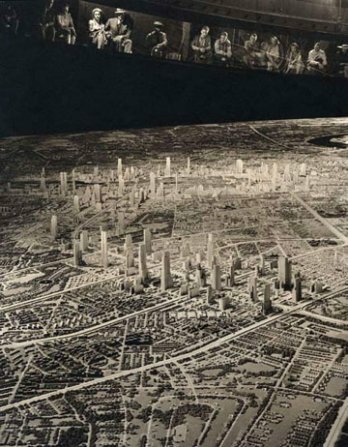 Which isn’t to say that plenty of people, the TechBros of mid-century, didn’t miss the point and run with it–like with Norman Bel Geddes’ Futurama exhibition at the 1939 World’s Fair. Freeway-connected megacities were a prior instantiation of the promise of technological innovation, conceived then as transportation, to wipe away social conflict. How’d we do with that? Is there any place in the techno-utopian design-driven university for thinking about the continuous failure across the nine decades between the two films of technological solutions to the problems of social justice? Or is the joke on all of us? This entry was posted in In the News, Stuff I'm Reading and tagged TechBros, technoutopianism, University Governance.